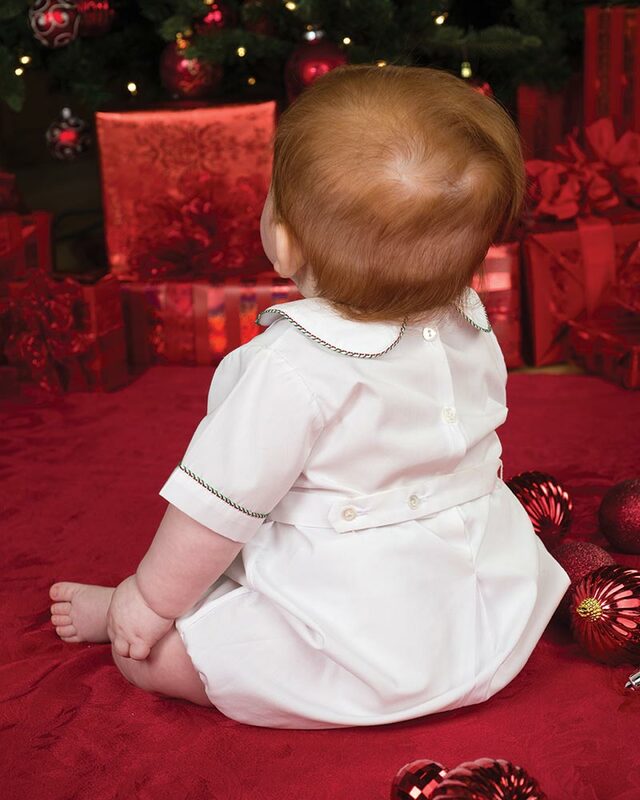 Home Inside the Latest Issue A Christmas Romper for Baby Jack! A Christmas Romper for Baby Jack! Choose to embellish with a Christmas tree or a single monogram—either makes this dapper little outfit picture perfect for the holidays. 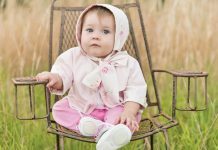 Paige Alexander has a love for beautiful white outfits for babies. When challenged with creating a Christmas romper for Baby Jack, she took a classic pattern and added her special touches. This fun-to-sew and even-more-fun-to-embellish romper will be one of your favorites for that special little boy. 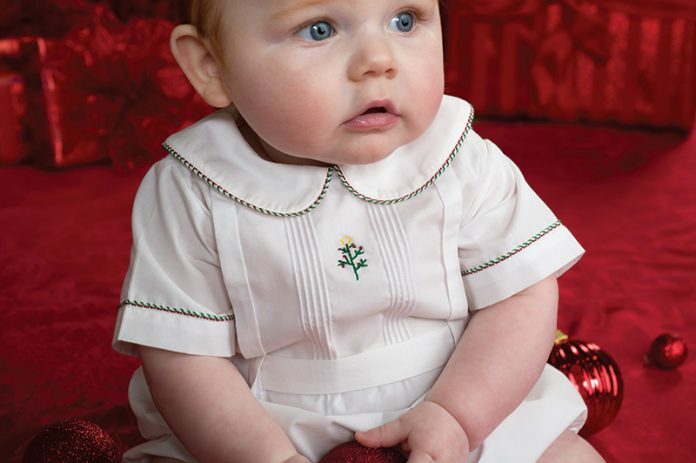 Baby Jack is a classic heirloom romper. It has pintucks and box pleats on the front and buttons in the back. Cleverly concealed buttonholes under the box pleats hold the belt in place. 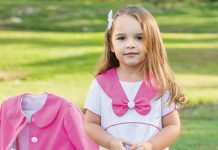 There are many options you can choose from, including two collar choices. The belt can button in the front or back. Entredeux, with its perfectly spaced holes, offers a great place for embellishing with your embroidery floss. 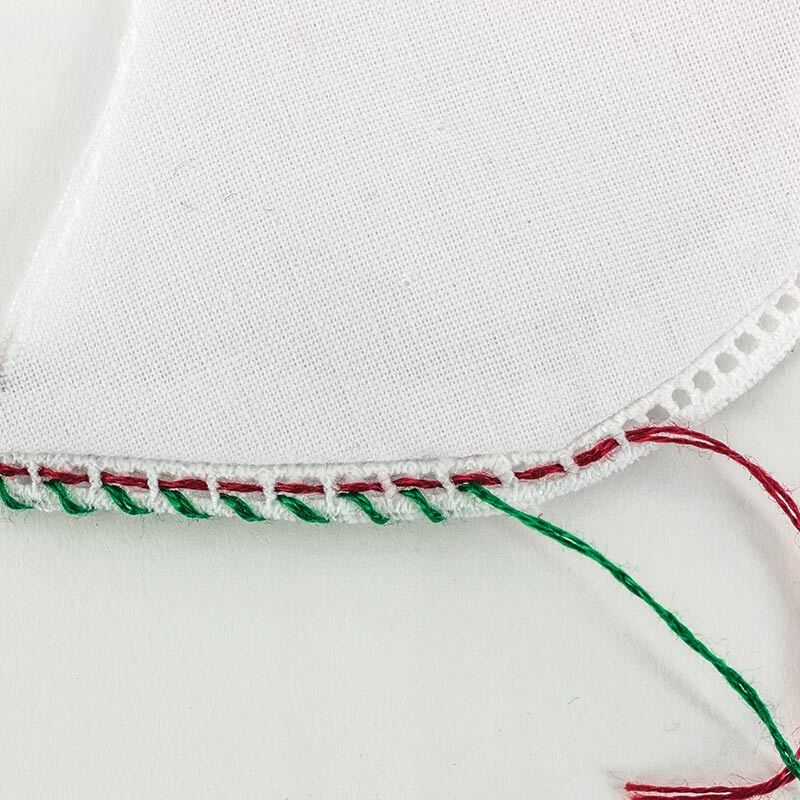 A simple running stitch in red, followed by a whipstitch in green, combines for a colorful edging to your garment. 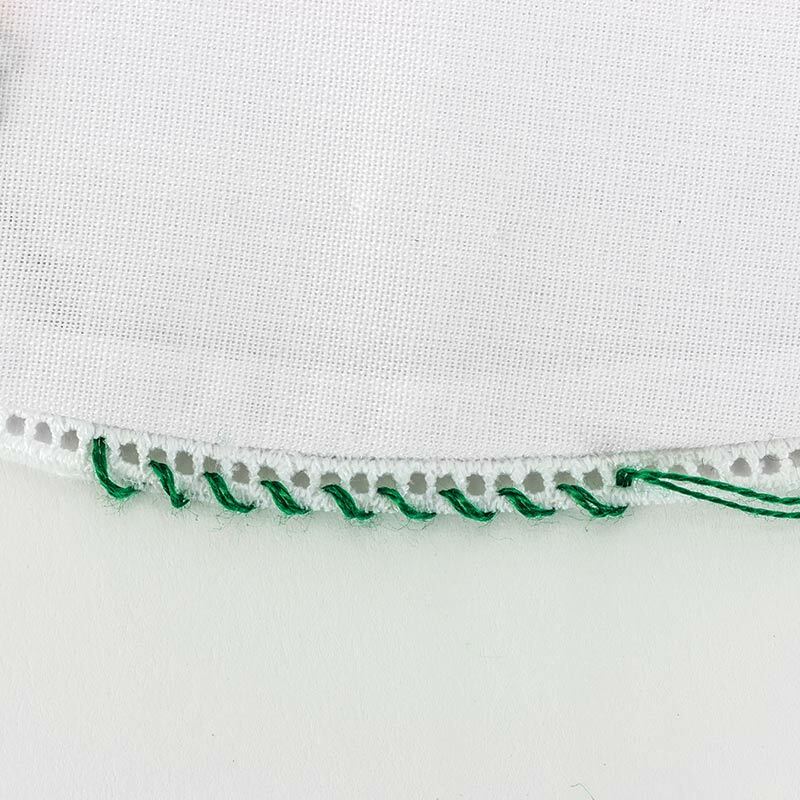 The running stitch is woven through the holes of the entredeux (photo 1). 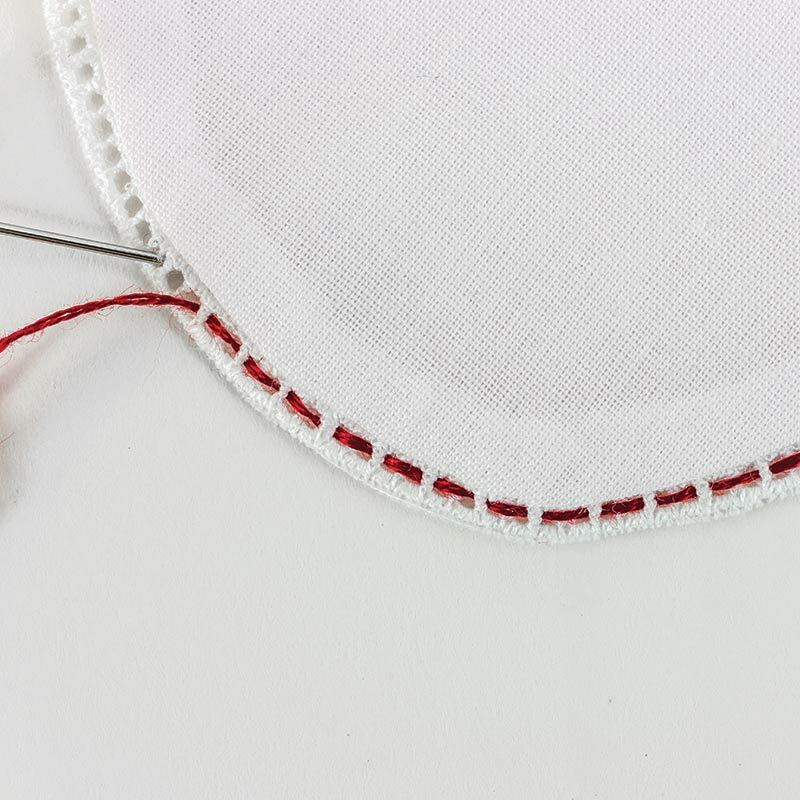 The whipstitch is worked in every two holes (photo 2). Combined, they add color and create an excellent trim for boys (photo 3). For full project details plus the patter, click below to shop this issue! This Outfit Is Perfect for Spring Days That Still Have a Bit of Chill in the Air! 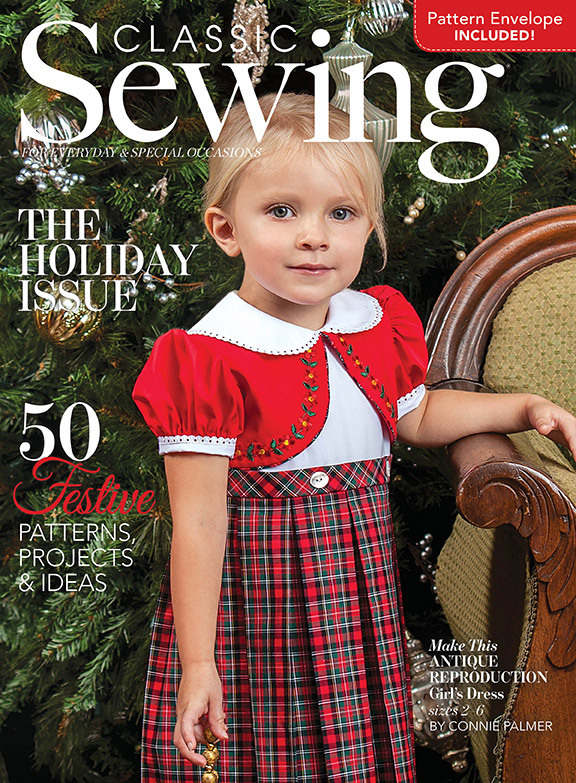 Published four times a year, each issue features beautiful patterns for children’s garments, casual pieces, gifts, and projects galore from everyday sewing to heirloom garments — all created by the industry’s best designers and leading sewing celebrities.